As I remember it I was in the 660s across all bureaus when I applied and was approved for this card with a $2000 credit line. Keeping track of the cash back categories got exhausting after a while, but it's cool that you get 3% back on groceries. Not so cool that there's an annual cap on what you can earn. (Citi's Double Cash card doesn't have a cap; neither does QuickSilver One.) My husband and I used this as our 'exploit' card that we paid off in full just to reap the rewards but now we use the Double Cash instead since that has no caps. I have to say Amex was really good about identity protection. My card was hacked and fraudulently charged twice. After I told them what had happened with both transactions, they were quick to refund my money and shut down/replace my card number. They even overnighted my new card for free so I didn't have any spending downtime (since I used the card for groceries and gas). Check out the deals. I use this card for things that aren't even in bonus categories. Cell phone bill discounts, department store discounts, cable bill, restaurants, travel, gas, etc. Sign up for them and use them. Can get a few hundred back every year just on these deals. I heard that American Express is hard to get if you're a student, however, this didn't stop me from applying. I was confident enough in my credit history that I could get approved, and sure enough, I was approved for a $2,000 credit line. At the time of applying, my FICO was 749, never missed a payment, and have low credit utilization. My income is your average working income for a student that works part-time. Very good no annual fee card for groceries with a nice intro bonus. I was given an 8K limit to start. The only downside is the foriegn transaction fee. I've been using this card since 2012. Great rewards, customer service, and security features. Only thing is. Make that payment on time. Or you'll be paying a really hefty fine. I have had this card for 7 months and was approved with a $500 credit line...two other cards before this which were a Kohls department store card with a $300 limit and a Capital One Platinum $300 credit limit...score was low because my credit history/age was thin from starting out...I have earned rewards so that is nice..it has helped me build my credit to get better cards but my credit line has not increased and I've used it once a month for a small purchase and pay it off right away. C1 Platinum is a starter card. I have had one for a year no increases. My CS are over 700 so I am going to call them and ask to graduate me to a Quicksilver card with a higher limit and less utilization. It is all a game. I’m on my 10th month new to building credit as well and they didnt increase my limit yet. Kinda lame. Based on my experience, you have to use the card and pay your balances down every month. You can just let the card sit in your wallet catching dust and expect a limit increase. They will not increase your limit if you're not using what they initially approved you for. Hi Kelly, do you mind sharing your credit score with us that got you approved for $500? I’m looking to apply, my approval odds say fair with a low 600 score. I don’t want to be denied, thanks in advance! 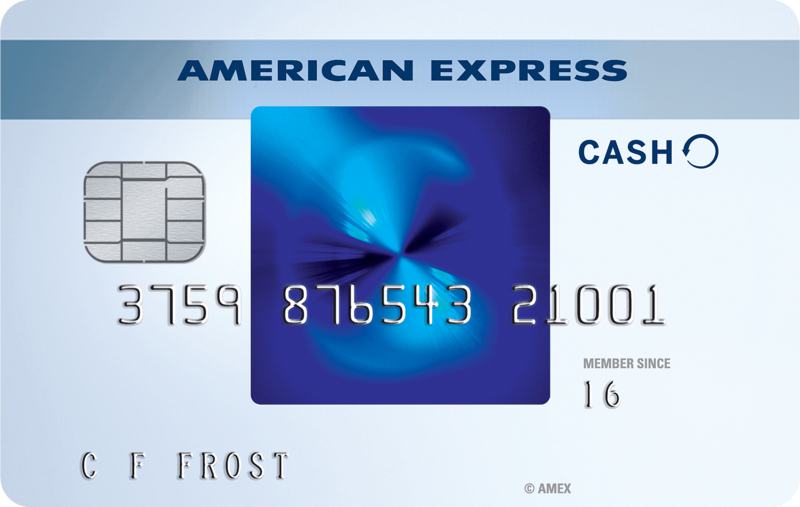 Sooo I really don't get how AMEX decides who they approve and for how much... I see the other reviews with people's scores in the 600s with higher initial CL approvals than myself, just seems odd. And Credit Karma's "approval odds" is sooo far off. When I applied my credit karma score was 720+, my Fico was 730+ (I don't remember specifically the scores)--my total available credit was 40k, with a Chase Sapphire Reserve at 24k and Discover at 10.5k being my two high ones. 11 year credit history, 100% on time payments, no derogetory marks, and 1 inquiry. Credit Karma said my approval rating was POOR. Um okay? AMEX preapproved me with a better welcome offer than the generally advertised one, so I applied to have a general grocery/gas card for when my Chase Freedom and Discover rotating categories weren't covering those. I was immediately approved for 2k. Not terrible, but still, much lower than my other cards. It isn't a huge deal, but the long 0% into was a motivation since I need to replace tires on 2 vehicles this summer, plus another project, and would like some time to pay it down. I saw a few reviews from others with scores in the mid 600s with 5k+ CL immediately on approval. Again, just really odd, seems like they just randomly approve various CLs for fun, like a lottery or something. I just hit the spending minimum and haven't gotten the statement credit yet, but the statement doesn't close for another 2 days, I'll give it the full 90 days before calling their customer service--I'll also call for the CL increase at that point too because 2k is a bit low and it looks like I max this card out even though my overall utilization is very low. your CL isn't just based on your credit score.....they take into account your income and current assets. A person could have a low credit score but still could get a decent CL if having a higher income. 24yrs old with a 50K salary. Had been an authoized user on my Dads card for a few months, Credit Karma says my Transunion score is 784 while Equifax is 765. Those scores are NOT CORRECT. I was denied for a Chase card and the rejection letter said my Equifax score was 642. Pay $1 for Experians premium 1 month trial to get an accurate and true FICO 8 score. On 4/19 Experian premium showd FICO 8 scores of 685 (Experian), 678 (Equifax) and 712 (TransUnion) and a current Experian score of 678 . I made sure I was pre approved using the AMEX website and was instantly approved on 4/19/18 with a $2000 Credit Limit. Do not trust the scores from services like CK and Mint as they can be highly inaccurate. There are many types of scoring models out there for example there is FICO 2, FICO 8, and Credit Karma uses one called Vanguard. There are different scoring models for different types of credit such as credit cards, mortgages, and car loans. Within the scoring models there are score cards. aAccording to my FICO they have between 12 and 14 different types of scorecards. Different examples of the types are thin files which are people new to credit, those with bankruptcy, those with collections Etc. Your credit score can change drastically if due to score hopping which can be caused by various things but ultimately unknown to the consumer. One possible example would be your average age of accounts would have increased putting you into another scorecard. So technically your score was not wrong, it's just simply that Credit Karma uses a different type of scoring model. Ultimately it's the bank or issuer that determines which scoring model they are going to utilize and in turn which score they end up ultimately pulling. Hope this helps.